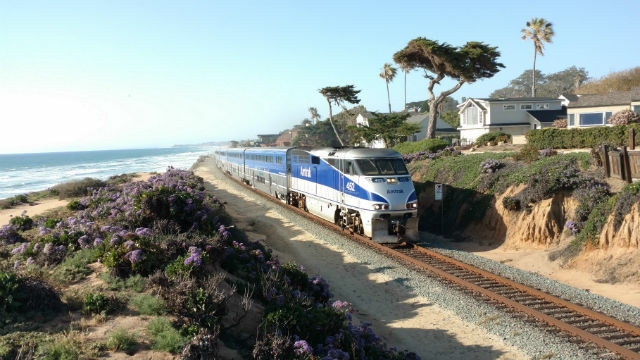 An Amtrak Pacific Surfliner train struck and killed a female pedestrian near the Sorrento Valley station Saturday, causing lengthy service delays. The incident was reported at 3:35 p.m., said Lt. Chris Davis, of the San Diego County Sheriff’s Department. The tracks are just west of the 10500 block of Sorrento Valley Road. The North County Transit District, which operates Coaster trains, said in a series of tweets around 4:40 p.m. that tracks had been reopened but two trains, one northbound and one southbound, were running about an hour behind schedule.